NEWMARKET, New Zealand –Māori Television provides a range of local and international programming for New Zealand’s audiences across the country and online. Founded in 2004, the station is dedicated to the revitalization and normalization of the Māori language and culture through high-quality, readily accessible programming in both Māori and English. Reflecting its commitment to quality, Māori Television recently upgraded its studios with the addition of HARMAN’s Studer Vista 5 M3 and OnAir 2500 digital consoles. 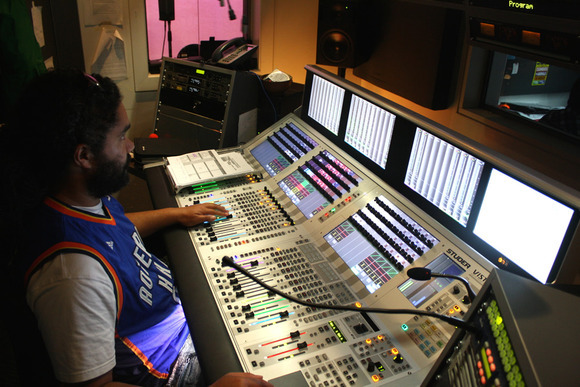 Māori Television wanted to avoid having to patch the consoles into external effects devices, and chose the Studer consoles because they had enough built-in effects to handle all the processing for all the shows that are produced at Māori Television. Ease of use was equally important – “we wanted consoles that were intuitive to use, so that most of the people in our studio would be able to operate them.” In addition, the consoles had to be able to link together so they could share sources between Māori Televisions two broadcast studios. The Vista 5 M3 offers access of up to 240 channels, ensuring the station would have all the inputs it needs. Along with the Vista 5 M3 and On Air 2500, Māori Television purchased three Studer Compact Stagebox expansion units, a 32-in/16-out and two 16-in/16-out models.